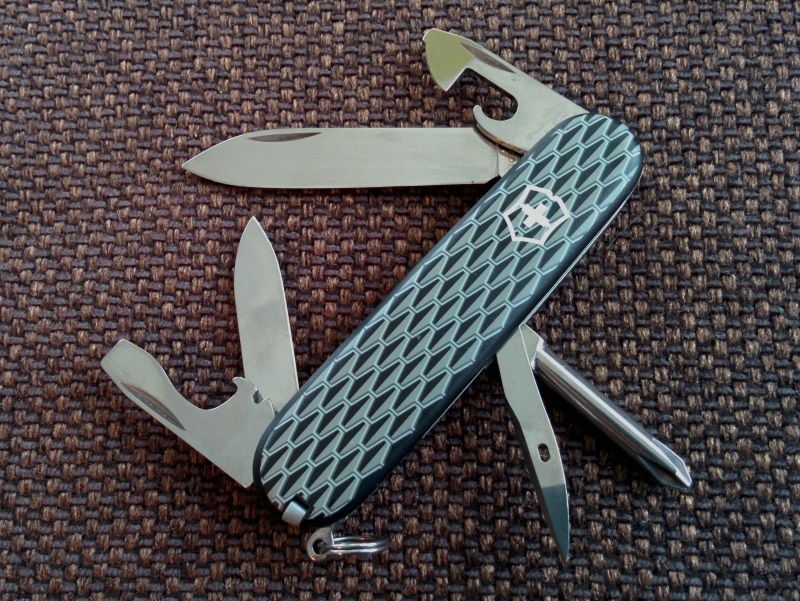 Here’s a nice Victorinox Tinker. It has special soft grip scales with a Wabenmuster (honeycomb) design in black/gray. I think the scales are actually cellidor with some kind of rubbery coating. Victorinox introduced the soft grip scales in 2009 with the Climber Road Tour. I think this Tinker, along with a ruby soft grip Spartan, was introduced a year later. I believe this knife was also known as Geotec or Geotech Tinker.